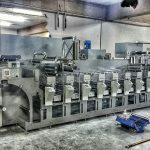 In the past the common choice for label and sticker printing was flexographic or flexo printing technology. 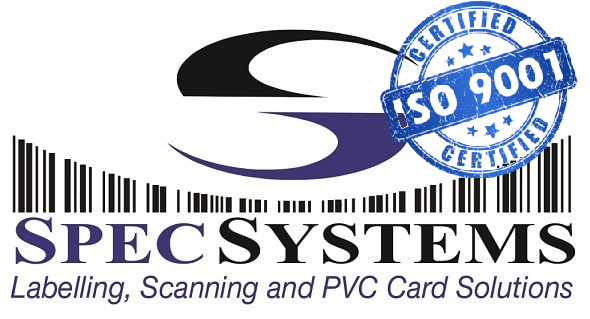 There is now a new kid on the block Digital Label printing. These are two entirely different technologies where depending on the complexity of the job and length of run, choosing the correct technology for your labels or stickers may not always be that obvious. Here are some points to consider. Digital label and digital printing technology has progressed significantly in the last 3 years and it is now possible to get very high quality digital labels with short lead times on a variety of substrates from standard papers to clear synthetics and even metallics. With digital printing the total cost of the run is often cheaper than flexo as there are no plate cost to consider. Digital label printing is basically sending a digital artwork file to a printer just as you would do at home with your desktop page printer. A major advantage of Digital label manufacture is that full colour high quality printing can accommodate both low volume and high volume label runs with variable data printing and quick turnaround times. The electronic process flow allows for Cloud based colour control solutions that ensure consistent colour print time after time where lead times on reprints typically drop to 3 days. If you have chosen the right label manufacturer additional finishing effects(normally a flexo process) can further enhance your label. Laminates, UV Varnish, silver and gold foil add high-street appeal to your brands label. Most label printers use flexo printing. The technique uses plates and ink with rollers to transfer the image onto the printing substrate. The end results are generally high quality if the printer knows what they are doing. There are a variety of presses in the market and depending on quality of the press used often determines the quality of the labels you get. Expensive presses normally deliver very vibrant colours and sharp images. You are also able to print on a wide variety of different materials. Flexo label printers will also be able to make use of metallic inks which can lend an extraordinary quality to your labels. The start-up costs for flexo printing are far higher than with digital printing. Transfer plates need to be etched for each new design and often there is a plate for every colour potentially limiting your design in order to keep costs down. 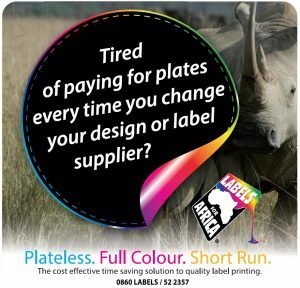 This printing technique only becomes cost effective if you are printing labels in high volume or in one or two spot colours. In addition, the casual observer would not be able to tell the different between a digitally produced label and a flexo printed label.